As one the biggest real estate foreclosure markets in the country, Atlanta has become a literal treasure hunt for real estate investors looking to capitalize on the unprecedented amount of foreclosed and short sell homes in the metro area. Factor in historically low interest rates and desperate sellers, all eager to make deals with investors and it becomes painfully clear…If you were ever going to invest in the Atlanta real estate market… Now is the time. However, it is crucial to note that not all foreclosed and short sell properties are necessarily good investments. When looking to invest, each property being considered should be held to strict standards and criteria. 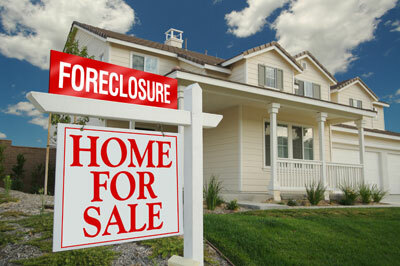 Paige Slyman is an expert in foreclosure and short sell properties in the metro Atlanta area. For over 15 years, both new and seasoned real estate investors have been seeking his counsel for his extensive Metro Atlanta real estate knowledge and foreclosure market experience. In the below information, Paige clearly spells out the five things every foreclosure and short sale investor MUST take into account before they invest. As with any investment, it is crucial to make sure that you are buying a property that stands to give you a significant ROI. One way to maximize your ROI is to research the rental rates of the homes in the area. Then the investor must determine what the mortgage and other maintenance and renovations costs will be and compare those figures to determine if it would be a sound investment. Other factors that one should also consider in terms additional expenses are major taxes like Capital Gains Tax. Paige recently located and assisted an investor in purchasing a foreclosed property for 80k with 10k in renovations with the purpose of putting it on a rental program. The mortgage payment is only $650 and the property is currently renting for $1100 per month. Also, it is important to note that due to Paige’s expertise in property management, he had the property rented within a week. He recommends the average foreclosed property investor target profit between $400 to $500 positive cash flow per month. When looking to invest in a foreclosed or short sale property, it is important to factor in renovation and maintenance costs, in addition to the original purchase costs. For example, if the property is being sold for 75k but will need 25k in renovations, the additional 25k must be factored in the monthly mortgage payment. Paige Slyman is an expert in advising clients on the estimated costs of renovations, repairs and necessary upgrades that MUST be done to a home before it is suitable for re-sale or to be rented. Most industry experts agree, unless you are a real estate expert, DO NOT purchase a home for the purpose of renting it or to flip for re-sale without consulting a real estate professional. In most cases, when looking to purchase a foreclosed or short sale home, renovations will be necessary. However, it must be noted that not all renovations and upgrades are created equal. Paige Slyman is an expert in advising clients on which renovations are most likely to increase the resale or rental value of the property. For example, it may be more beneficial to update and renovate one area of the home as opposed to another area. Before purchasing a home for investment purposes, it is advisable to consult with a real estate professional to determine which renovations will be necessary and also have the ARV (After Renovated Value) evaluated and estimated. Aside from a favorable selling price, availability of financing that offers very flexible payment terms and low mortgage terms should also be considered. When the monthly amortization is lower than the rental rate your property is earning, you will have a property that can generate positive cash flow, creating an asset that puts money in your pocket. An experienced and knowledgeable real estate professional will be able to guide and assist you through the entire financing process. When investing in real estate, it is essential that the investor have the property thoroughly investigated to ensure that the home is structurally sound. Often times, properties that are going into foreclosure are not well maintained and could potentially have hidden repair costs. As we discussed earlier in this blog, the estimated cost needed to repair and/or renovate the property should be factored in the cost of investing in the property. A property which needs extensive repairs that are costly should be carefully considered before investing. In closing, with the proper guidance from a real estate professional that is experienced and well versed in buying foreclosed and short sale properties for the purpose of renting or selling the home for a profit, there has NEVER been a better time to invest. Paige has been advising metro Atlanta real estate investors for over 15 years and he is a real estate investor himself. Call him today to assess your options and take the first step in becoming a successful real estate investor.